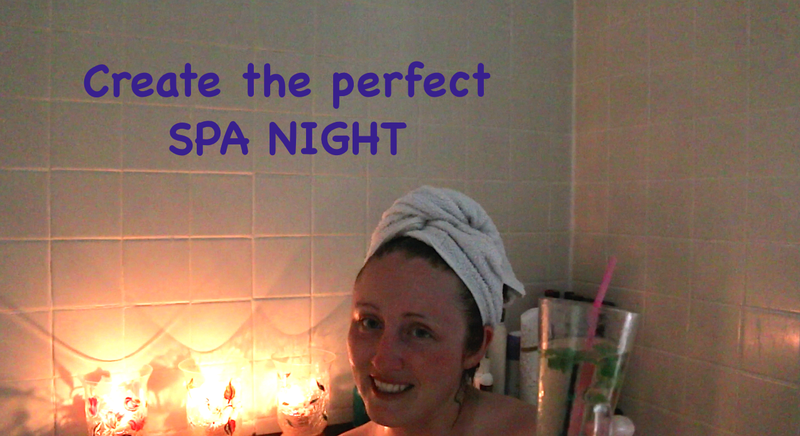 One of my favorite things in the whole world is a Spa day, unfortunately Spa packages are ridiculously expensive especially when you add in that I want it weekly, so I have created my own perfect Spa night and share with all of you my process. To create my perfect Spa night I use Coffee Grounds with a Body Buffing Pad, Sei Bella Hair Mask, Hask Argon Oil, Sei Bella Face Mask, Renew Body Wash (for bubbles) Avocado Oil, Corn Starch, Epsom Salt, and Olay ProX Face Brush (optional). The first thing I do is run my bath and add in about a cup of Epsom Salt, 1/2 cup of Corn Starch, about 3 Tablespoons of Avocado Oil, and then a small amount of Renew Body Wash to be used as a Bubble Bath. I want to quickly explain why I dont just use a nice Lush (or any other brand) bath bomb. My perfect Spa Night is all about pampering and relaxation, it does not end with me scrubbing the bath tub to get rid of the colorants, glitter, and/or soap scum that comes with using a bath bomb. Also bath bombs can get really expensive, especially when you think the average bath bomb is $7 for a short 1-2 hour bath. The next step is to apply your Face Mask and Hair Mask. My Face Mask is not the type of mask that gets hard and then you feel like Joan Rivers after a Botox treatment, it is an exfoliating mask that also has mud in it as well as tea tree oil. My Hair Mask is a reparative treatment for anyone with dry or color treated hair. I also add in the Hask Argon Oil to the ends, as well as to the roots which normally is a huge no no but because your washing your hair right after its ok. The combination of the oil and conditioner makes your hair soft, silky, and shiny for the rest of the week. I then set up my table. On my table I put a huge glass of iced water, my favorite cocktail which is the Mojito, and my iPad, with the iPad I usually watch a guilty pleasure show i.e. Gossip Girl, Vampire Diaries, Grimm, or I will play really soft soothing music i.e. Enya, Sarah McLachlan. I then light my candles I am using vanilla because I find it to be really nice and soothing without having a huge in your face fragrance. Then its soaking time. I am a huge soaker, I can sit in a bath for at least 2 hours! just before I am ready to get out I use the ProX face brush and then wipe my face down with a nice hot towel. I then apply the Coffee Grounds using the buffing pad. The coffee grounds don’t have to be anything expensive but they are amazing at exfoliating your body as well as helping with cellulite. After this I shower off washing my hair and body to remove the hint of coffee smell. I then moisture my entire body using the Renew Body Lotion, because you just did a full body exfoliant you need to moisturize really well so your skin doesn’t get really dry. I also do a full skincare step even if its the middle of the afternoon, I used Estee Lauder Night Serum, Clarins Night Cream, Yes Blueberry Eye Cream. I follow this with the Its a Ten Keratin Treatment and comb through with a wide tooth comb. I then snuggle up with my boys and watch a good movie!